For demanding applications where reliability is essential. Comprehensive selection of sizes in Music Wire and Type 302 Stainless Steel manufactured to rigid standards under strict tolerances. Music Wire parts are Zinc Plated, Stainless Steel plain; ends are closed and ground. High Carbon Steel Music Wire (ASTM A228) parts are able to be cycled repeatedly and can operate at up to 250°F. 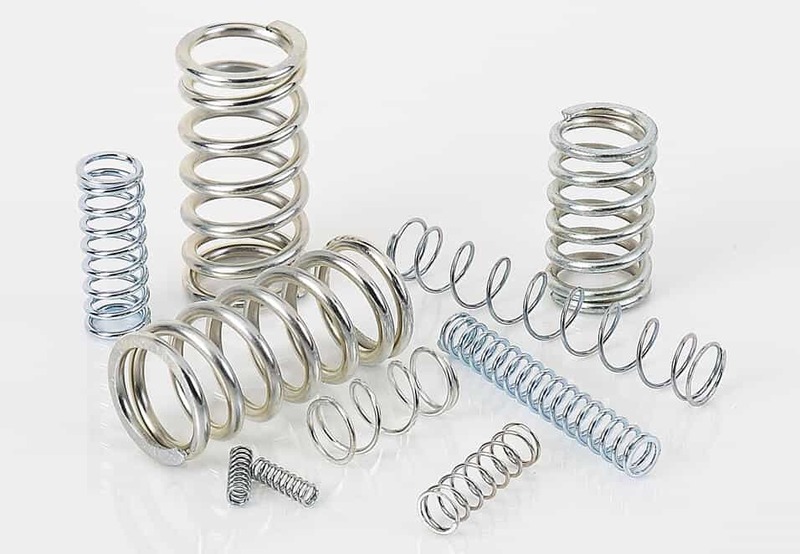 Type 302 Stainless Steel springs (AISI 302, ASTM A313) offer greater corrosion resistance and perform well at up to 500°F.